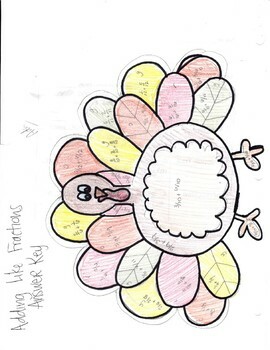 Practice adding like fractions (with simplifying) and color the turkey! 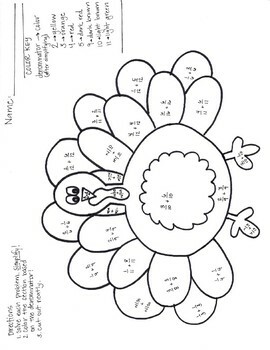 Each denominator is given a color to shade to create a beautiful turkey to display! A great "color by number" for the older students! All the problems are like fractions with denominators 2-12. Simplifying is required to complete the activity! This is a great 40 minutes activity to do during Thanksgiving week!